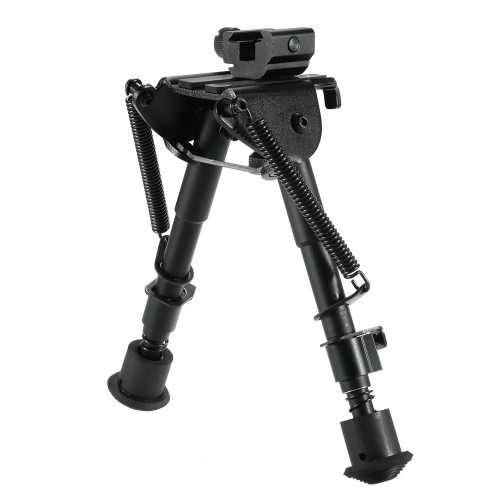 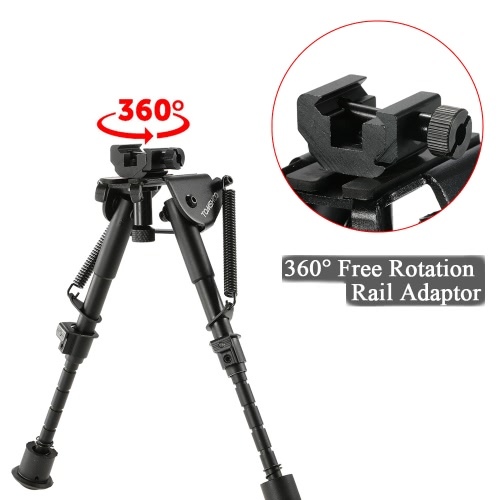 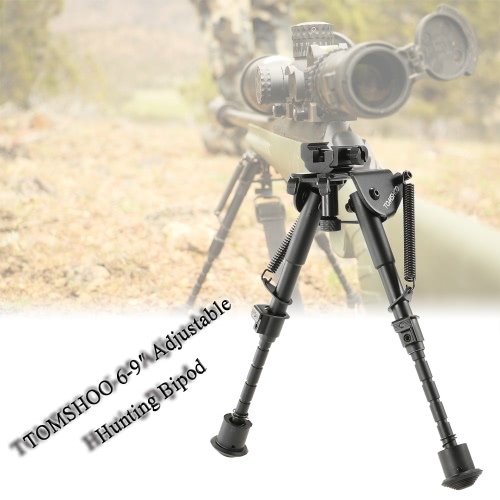 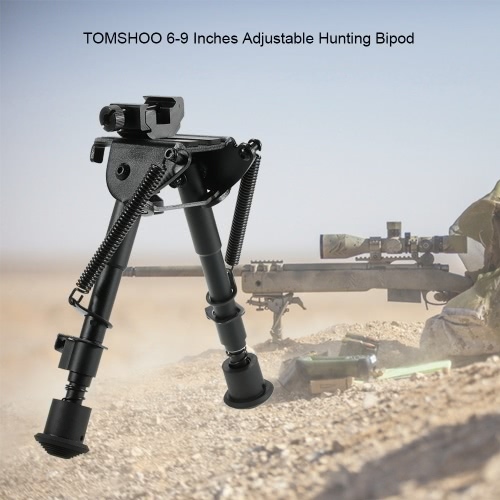 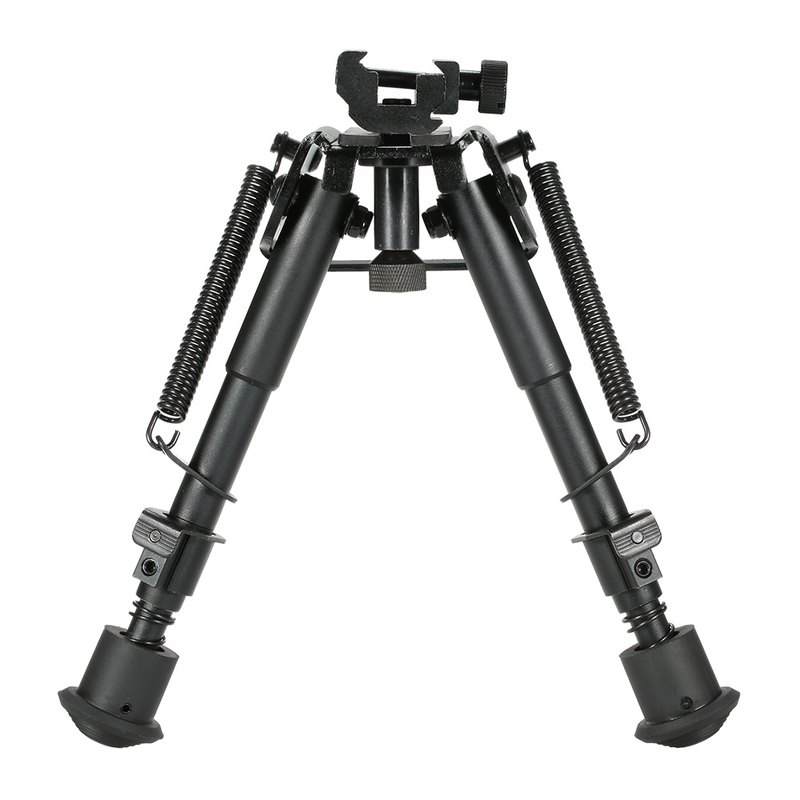 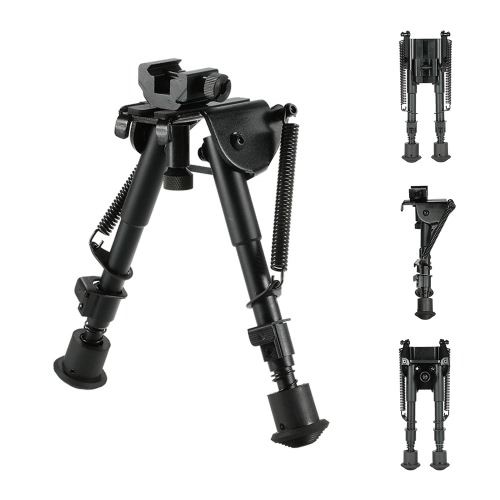 This hunting bipod is crafted with hardened aluminum and black anodized finish, very durable to use. The adjustable length with 5 different settings can meet different using needs. 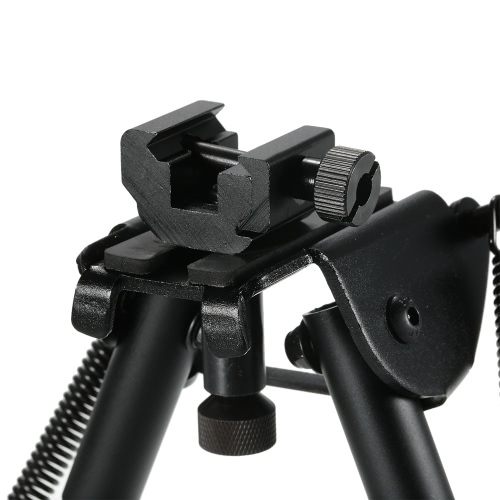 Heavy duty hardened steel and aluminum construction with non-rust black anodized finish. 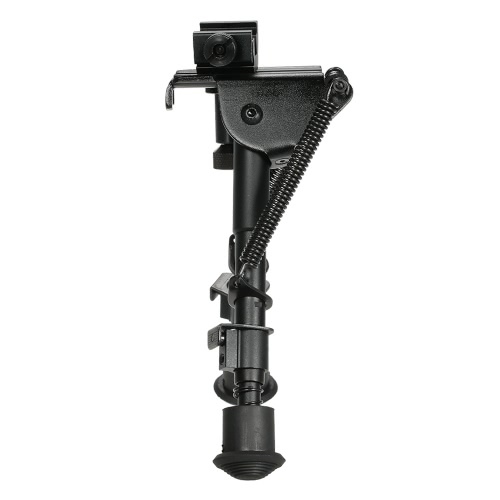 Durable, lightweight design that quickly attaches to sling swivel stud. 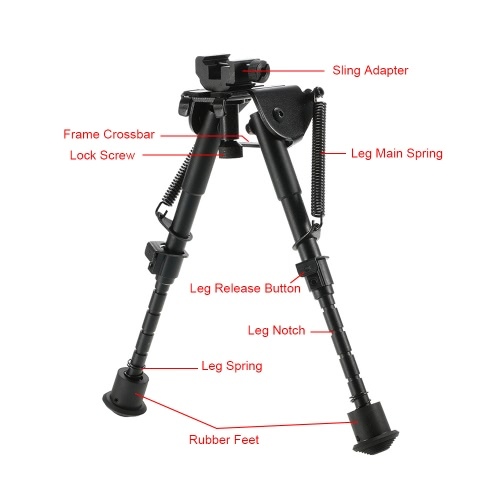 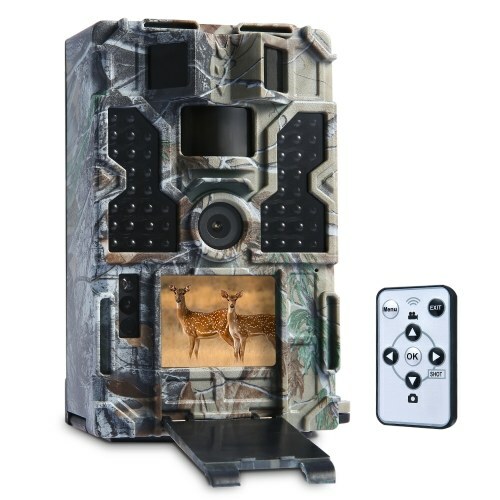 With return springs and leg release button, the legs get length from 6-9 inches, will fit your most situations and requirements. 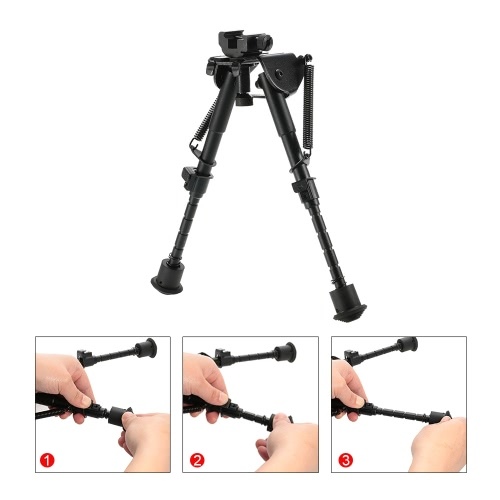 Quickly attach or detach from the weapons using the existing swivel stud. 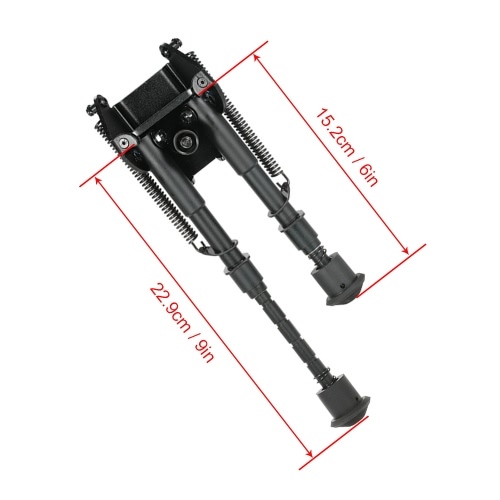 Nonslip rubber foot for most terrains or surfaces.